This entry was posted in All Android on August 27, 2010 by kapejod. 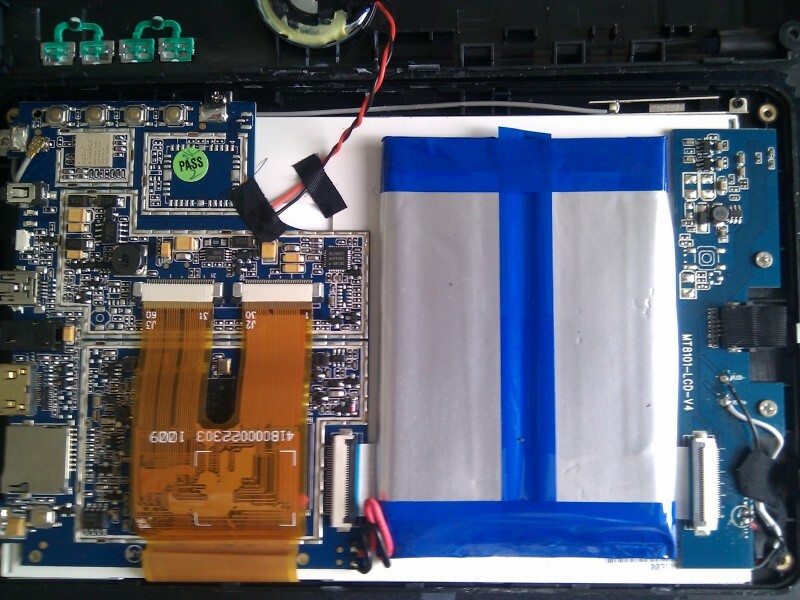 As requested I took my quality piece of tablet apart again to make some more pictures (especially of the daugtherboard). This time I did not downscale them to 800×600, so beware of the 5 megapixels! 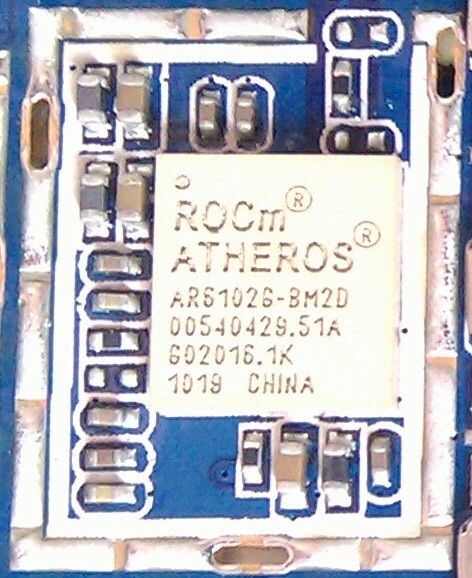 This is the backside of the daugtherboard, the “press-on” connector connects to the frontfacing camera. 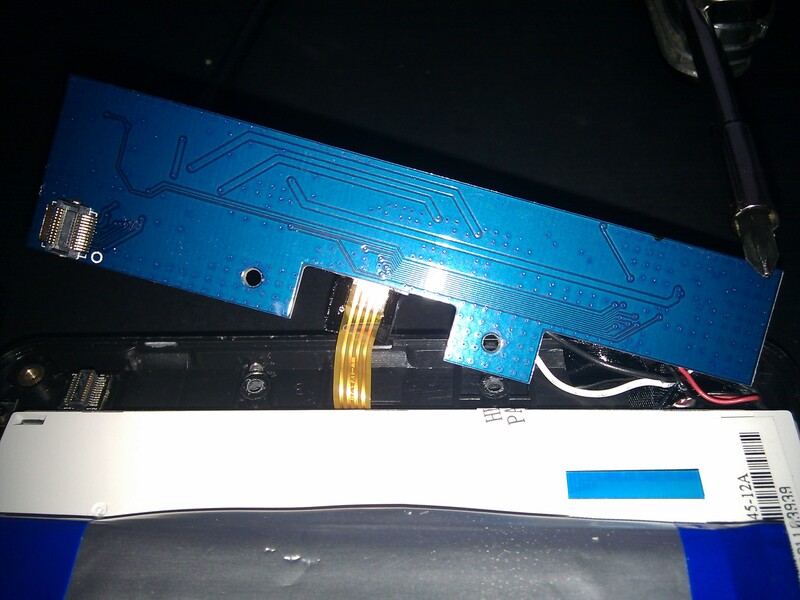 Sticking out from below the battery is the ribbon cable going to the mainboard. 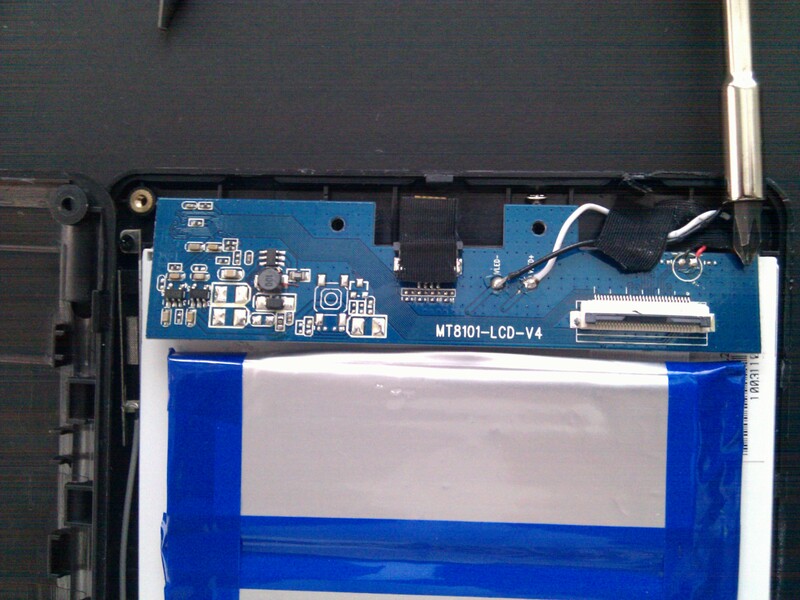 The daughterboard with the ribbon cable to the mainboard removed. 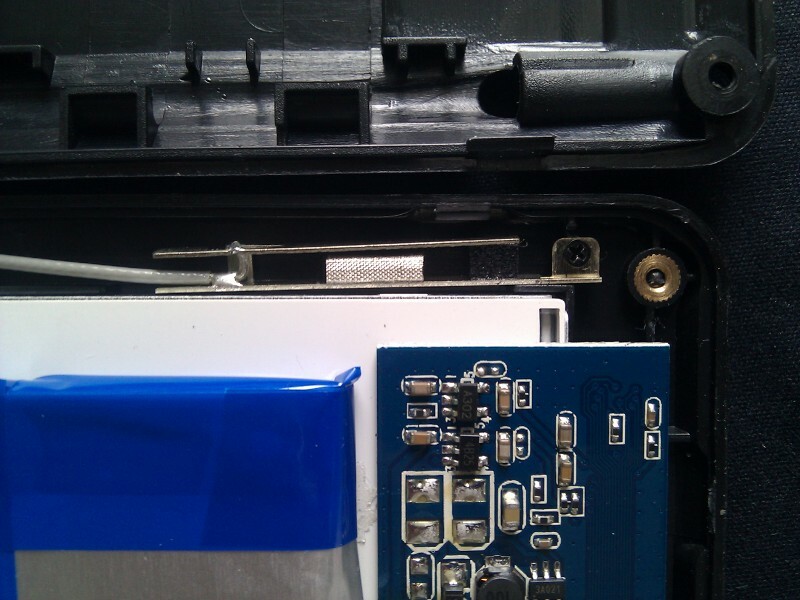 The ribbon cable going from the mainboard to the daughterboard is below the glued-in battery. Anything else you want to see? 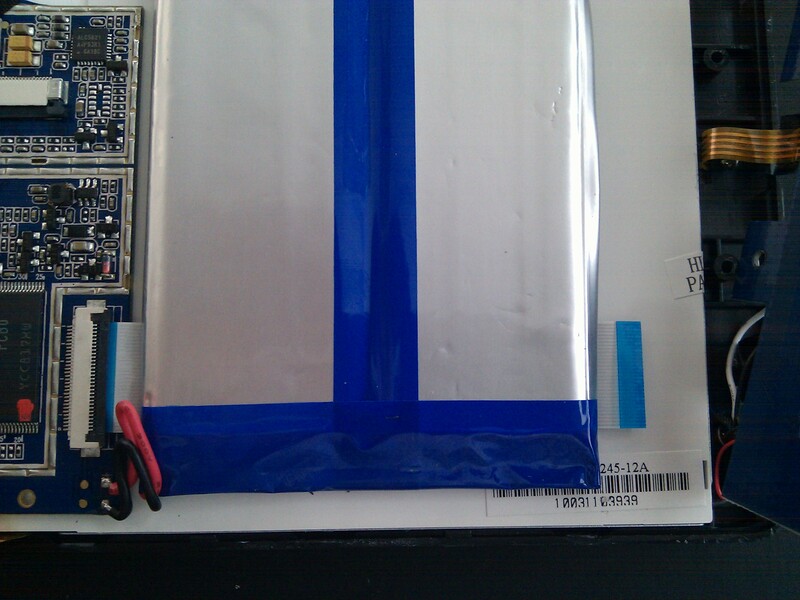 Please don’t make me remove the battery…. This entry was posted in Android on August 12, 2010 by kapejod. After taking a look at the software i could not resist to take a peek inside the tablet. This entry was posted in All Android on August 12, 2010 by kapejod. 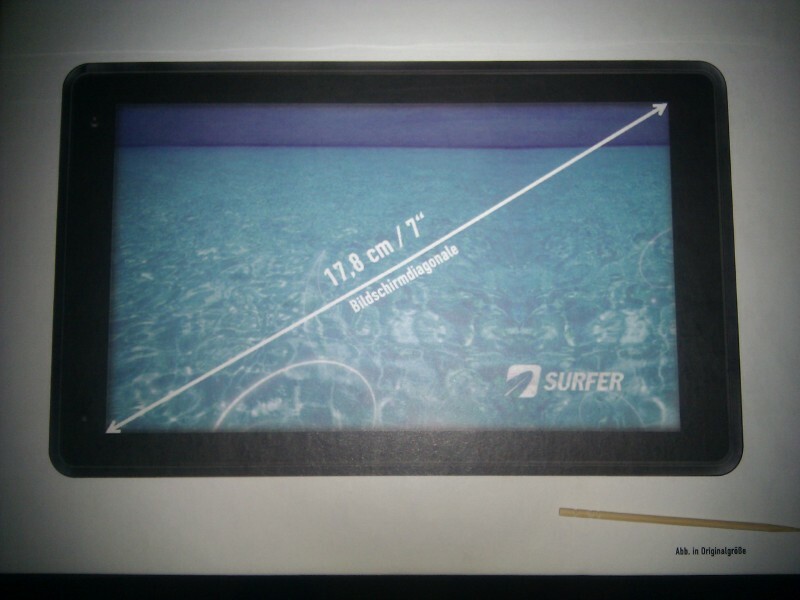 Marktkauf (a German supermarket chain) sells a stripped down version of the Smartbook Surfer (www.smartbook.de). It was quite difficult to get my hands on one of these. Because there is not a single Marktkauf in Berlin one of our poor trainees had to go out of Berlin (by train….). 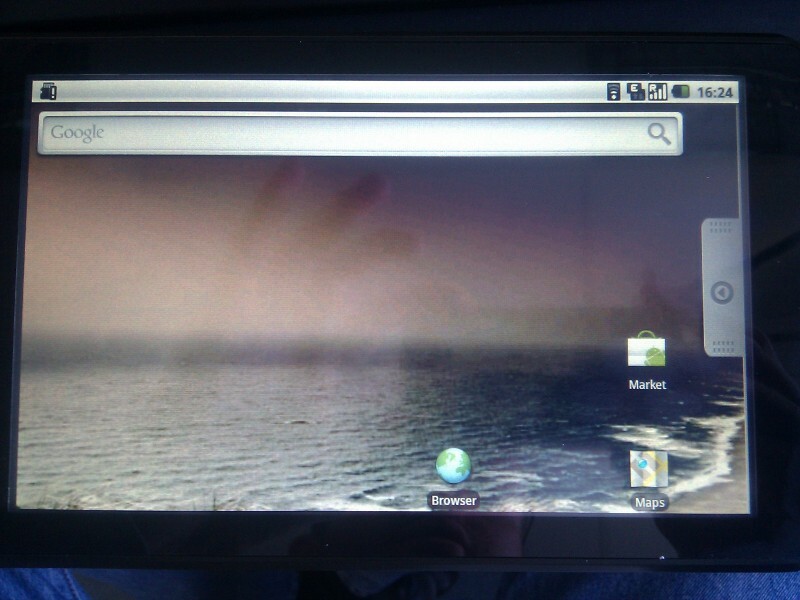 It runs Android 2.1, but it is really slow (what did you expect from a ARMv6 cpu?). The CPU should be running at 720Mhz which i cannot confirm yet. 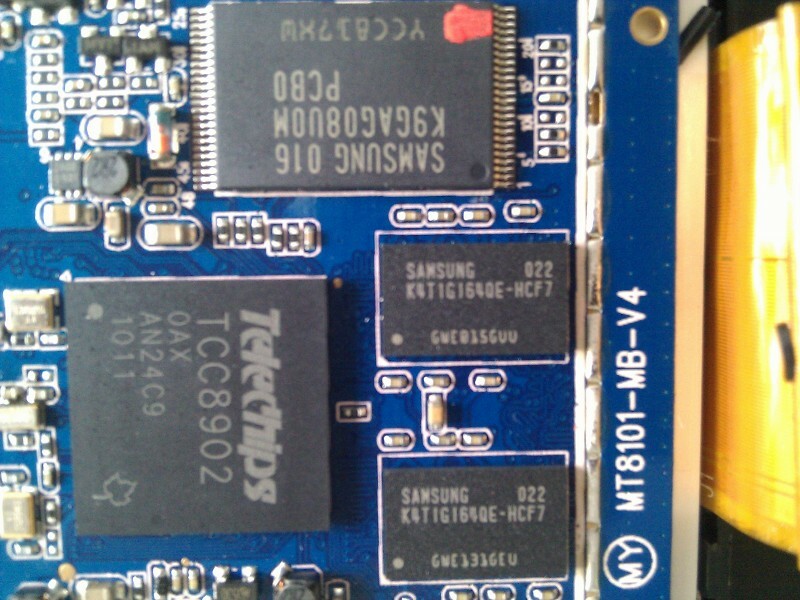 To dmesg it looks like 500 Mhz: “﻿### CORE CLOCK (500000000 Hz), BUS CLOCK (166000000 Hz) ###”. The “touch”screen should be renamed to “press”screen because you have to press pretty hard to get it to recognize your input. The builtin speaker is plain crap! It sounds awful, the headphones are fine though….Until! the device went to sleep for the first time, afterwards you will only hear very unpleasant highpitched static! Which really hurts when you have the headphones in use…. It features a frontfacing camera. You might “Wohooo!” first, but then you find out that you can only take photos with it or make black (not black and white!) videos with it. Then you think about….video calling…and install Fring..just to be told that because of device limitations you cannot make video calls. Softwarewise it doesnt get much better. Quite often you are greeted by the “Force close” dialog. The tablet comes with a Skype lite beta client installed which unfortunately does not fill the full screen. Did maybe somebody rip it from some phone? But after all the software situation is a good thing! Mainly because when you connect to the device with adb you are ROOT! Which is quite nice because you can access anything on the device. That way i was able to copy the com.skype.android.apk to my Nexus One and install it. Of course it is a Skype lite (meaning calls with cost credits and go over gsm) but chatting seems fine. UNTIL…you get a chat message while the app is not running in foreground. Then skype eats 100% cpu and freezes the phone, forcing you to take out the battery. Exactly the same thing happens on the tablett, skype rockets to 100% CPU making it even slower. I would not recommend this tablet to anybody who wants to actually use it! For playing and hacking it’s fine though.